We’re back this week with a review of INSURGENT, the second book in the Divergent trilogy by Veronica Roth. I reviewed DIVERGENT, the first one in the series, last week, with an ish-ish review explaining that I wasn’t terribly fond of that one, but it was worth it to read the second. In INSURGENT, we still have the oddness of the Faction system, but at least at this point all its (multifarious) weaknesses have been exposed, and it’s becoming more and more clear that the vast majority of humans are far too complex to be bound by such juvenile character traits (“I prefer friendship to knowledge!” “I’m braver than I am truthful!” I mean, really? ), and we begin to see who Tris, her friends, and her enemies really are. We still have a lot of Tris struggling to define herself and figure out who she really is, but the gravity of the situation has been made evident, and her choices matter, not just for herself and for her own survival, but for her friends and everything she’s fighting for. 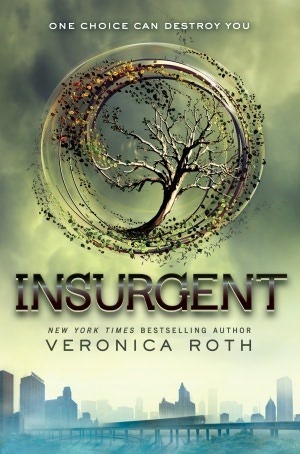 In INSURGENT, Tris is not just a young girl dealing with normal teenage girl problems in a somewhat odd dystopian setting–now, we see her step into a role where torture, betrayal, and self-sacrifice are the rules of the game, and if Tris doesn’t play the game right, everyone loses. In INSURGENT, Tris’s faction must wage war against another faction, which has essentially taken over the old government and instituted a rule of law that can only be described as terrorist. The simulations, which were so important for training purposes in the first book, now become weapons. Through them, men and women can be controlled like so many toy soldiers, pointing their guns with blank eyes at friends who they no longer see standing right in front of them. Tris and the other “Divergent”, who are somewhat resistant to the simulations, must try to fight off the simulations in order to combat their enemies. It’s not just a game of physical strength, of sheer numbers or of fighting ability; Tris and her friends must be mentally strong as well. As usual (I have found, in books like this), Tris is the hero, but she is not the hero in the true sense of the word. She’s the star of the book, the quote-unquote protagonist, but she’s not the most heroic of the characters in the book. Tris is at once too selfish and too selfless – by which I mean stupid – to be the hero. She is flawed, as she must be for the readers to relate to her. In her relationship with Four, in her interactions with her friends, and as we are guided through her own thoughts, it becomes clear that she is both incredibly self-centered (as are most teenagers, I suppose) and at the same time subconsciously devoted to the “hero” mentality, that idea that she is the only one who can “save everyone”. She denies it, both to her friends and to herself, but her actions and choices show otherwise – she believes that she is the center of this whole show. And in a way, because of her particular Divergence, she is. But, as in DIVERGENT, the real hero is not actually Tris, but Four. Four who saves her at every turn, Four who is a holdfast against her pointless heroics and her somewhat insane drive to self-sacrifice, Four guides her both in and out of her darkest places. In literary terms, he’s just a foil for Tris’s antics, but in real-world terms, it is Four who is truly selfless, who is only focused on things external to him. And even Four, in this book, is finally revealed to have a true weakness. Ironically, it’s not one of his fears that proves to be his weakness, but one of his beliefs – he believes in his mother, he is captivated and swayed by her words and her character, and his belief in her blinds him to other truths. Whether or not Roth intended to make Four the perfect character that he is (in my opinion) or whether she just got lucky is frankly irrelevant. In INSURGENT, as in DIVERGENT, Four makes the book worth reading. The other characters, too, grow in maturity and complexity. As I mentioned above, in this book Roth draws her characters outside of the circumscribed Faction boxes (courage/intelligence/truthfulness/selflnessness/friendship) and gives them depth and breadth. They are revealed to have characteristics from two, three, or even all of the factions. Uriah, Caleb, Marcus, Tori and even Peter are all revealed to be far more interesting than the simplistic views we were given of them in book one. In fact, we begin to find out that more and more people are faction transfers – they were raised in one faction, taught to think like them, and then transferred at the Choosing Ceremony. Or they’re divergent, which means they have characteristics for at least two factions. Of course, my thinking is “DUH! How is it possible for anyone to just be brave, or honest, or intelligent as their only dominant personality trait? 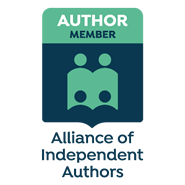 People are so much more complex than that!” But here, Roth reveals that she, too, believes that people are more than just the traits of their faction – and that is partially why the system is crumbling. Roth isn’t going for a Nobel prize in literature, clearly, but her writing serves and exceeds its purpose: To paint Tris and her world in a dark light, to pull us down into her world, and to fill it with color, emotion, and brutality in a way that is at once different from our own and at the same time sharply, painfully human. As I said at the end of my review of DIVERGENT, I will not be waiting in any lines for the third book (whose title has, as far as I can tell, not yet been announced), and I have yet to fall in love with the series. Maybe Book 3 will change my mind (although third books rarely live up to my expectations, so I’m not betting on that). But INSURGENT certainly makes DIVERGENT worth reading, and the overall swell of the books means I’m interested in the resolution. Another thing to note is that Ms. Roth was 22 when she published Divergent – she’s only 24 now. If this is the first step in her writing career, what’s next? Something more serious? (more sane?) If she can grow this much from one book to the next in a trilogy, what will happen in the span of five, ten, or twenty years? I think Roth is a writer to watch, to see what she’ll do in the future, even if the Divergent trilogy never manages to break out of the “decent young-adult dystopian lit” category. Here’s where you can get it on your Kindle. Happy reading! I haven’t, and actually I think I’ve decided not to read it. Enough people have told me that it’s not worth it that I don’t think I’m gonna pony up the cash and the time to read it. I was never terribly invested in the story, so the only thing I’m lacking is the ending – and I can find that online if I’ve the inclination. Have you read it? I know you’ve read Divergent. What about the others? I read the first two over the summer — I think I got them cheap on Kindle, so I got Allegiant as well, especially since I teach high school and I thought I would be able to talk about it with my students. There are major problems with the ending, but I probably could have lived with it if it wasn’t all the issues leading up to it. The pacing was horrible, there were plot holes EVERYWHERE, and she alternated the first-person narration every other chapter, similar to what you did in The Sowing. The problem there, though, was (and I’ve heard it personally from students as well) that they didn’t see the chapter headings at first and were very confused for 4-5 chapters, thinking there were typos with male personal pronouns. Both Four and Tris sounded exactly the same. Neither had a different voice. Be glad you chose not to read it. In that case, I am very glad. I’ve heard such poor reports recently that I’ve decided to just go read about the ending and screw reading the actual book.